Boris’ daughter, Liv has NM and he plans to change that. 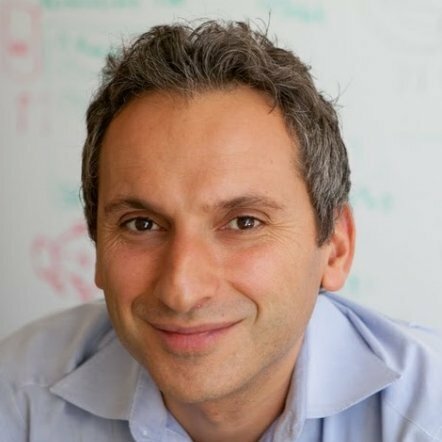 Boris has been an executive at multiple startups and currently works as VP of Engineering at Factual, an LA-based location data startup, where he manages a team of approximately 50 engineers. Boris holds a BS in Physiological Science and an MS in Computer Science, both from UCLA, where he published a paper on hiding data in DNA and also won an award for research involving heart attacks and chaos theory. He put himself through school working night shifts as an ambulance driver. Boris lives in Los Angeles with his badass wife and three amazing children. He is a lousy philosopher, a mediocre poet, and will someday become a great chef. A Foundation Building Strength is a non–profit organization dedicated to finding treatments for Nemaline Myopathy.